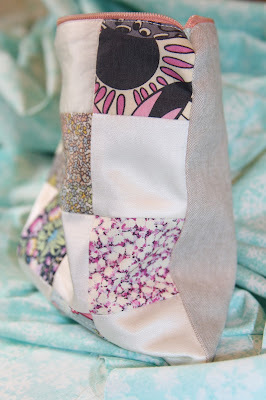 When I got home from the Philly SewDown, I was inspired and itching to sew. I made a sixteen patch block using a silk blend fabric and a bunch of Liberty of London prints. I've been wanting to use a bunch of silks and voile/lawn fabrics lately, so this was the perfect chance to practice. I took that block and made a little pouch! I used a soft coral zipper and a solid soft blue fabric for the lining. 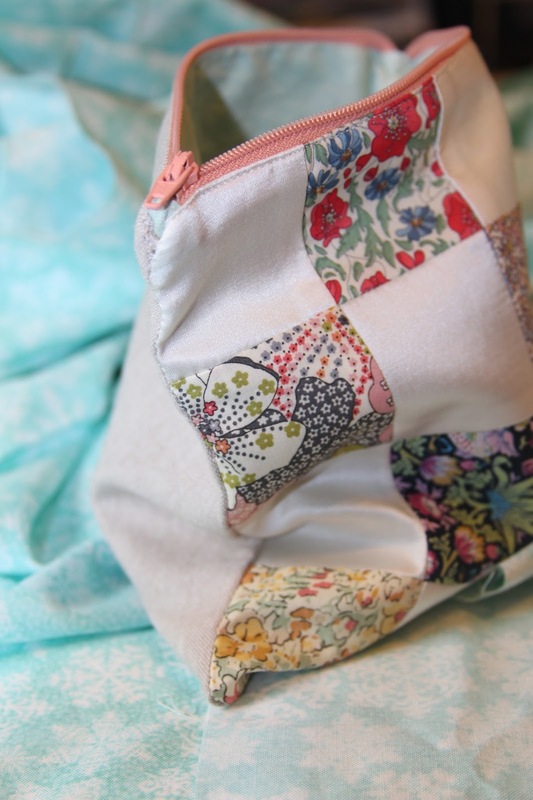 For the back of the pouch I used a cream linen fabric. I'm anxiously awaiting an order of Liberty of London prints that I ordered when I got home from the SewDown. I'm not sure what I'm going to do with them, but I'm excited to start hoarding more of those and eventually make some awesome stuff, whether it be a dress or a quilt. 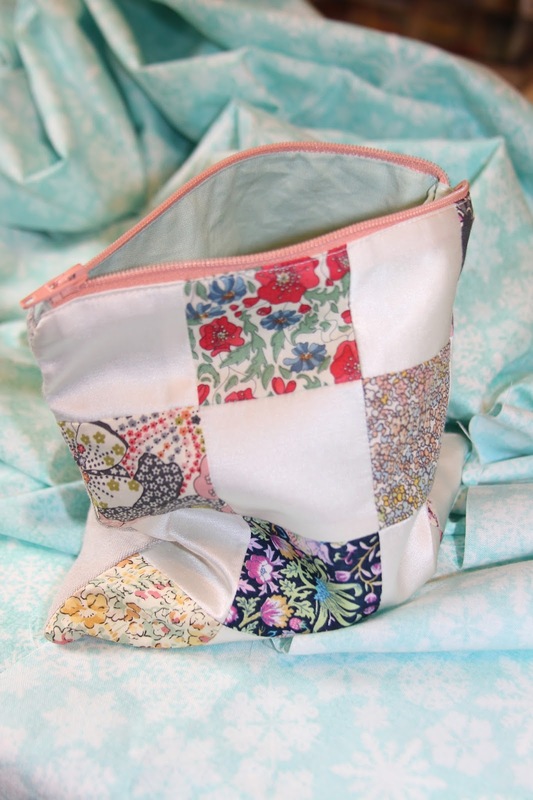 Darling pouch! What fun to use those special fabrics - I have yet to try!